The Walmart dessert has so much hype, you'd think it was the latest Supreme drop. 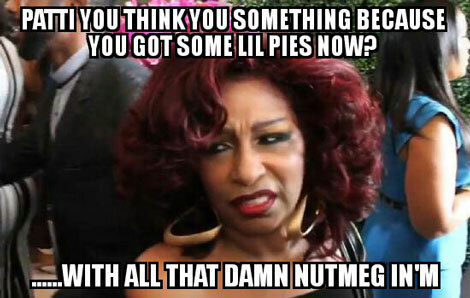 Patti LaBelle is many things—a Queen of Shade, a music legend, an actress, an author, a cook, and, most recently, a successful pie-slinger. This past September, she collaborated with Walmart to bring her version of Sweet Potato pie to the streets. The $3.50 price tag seemed reasonable enough for a 21-ounce pie, right? Wrong. It looks like the market is telling us otherwise. 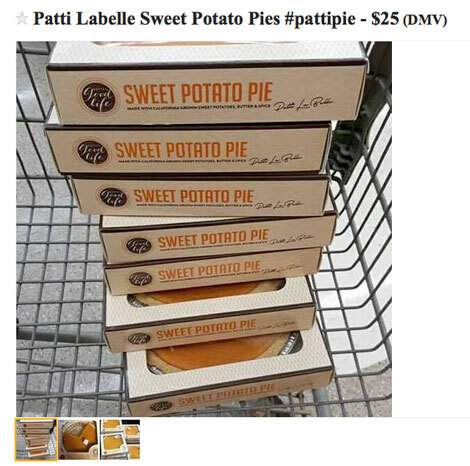 Since the epic review PlayTime James Wright posted on YouTube went viral, the retail chain can’t seem to keep Patti’s pies on the shelves. The Huffington Post reported that “Walmart sold one pie per second for 72 hours straight last weekend.” It gets even weirder. The buzz has reached Walmart HQ, which released a one-minute video featuring their Senior Buyer of Cakes and Pies. The message reassures the masses that they’re doing everything within their power to stock up their shelves. 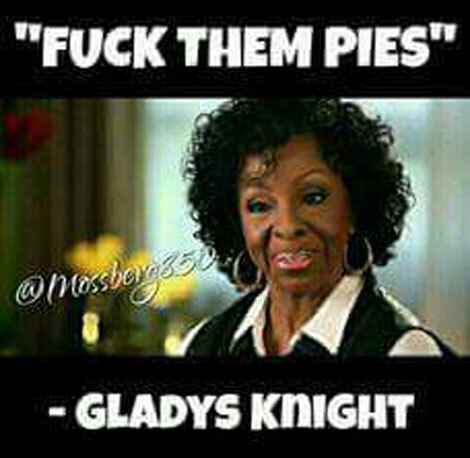 Needless to say, the Internet already responded with a flurry of #PattiPie memes depicting several divas (Aretha Franklin, Chaka Khan, Dionne Warwick, and Gladys Knight) throwing Patti shade. 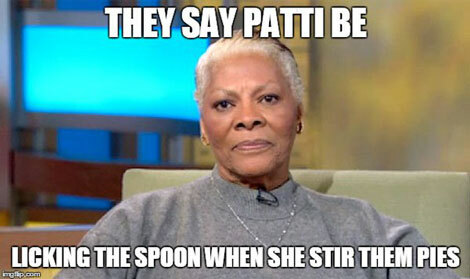 You might want to throw the pie in the microwave before consuming, though, because according to Dionne, Patti licks the spoon while she’s stirring the mix. But you didn’t hear that from me. As for myself, you can catch me camping out at Walmart for them pies like it’s a Supreme drop.